The sale runs from Thursday, November 16th through Saturday, November 18th. Our hours are Monday – Friday: 10-6 and Saturday: 10-4. *Offers valid 11/16/17 through 11/18/17. One coupon per family. 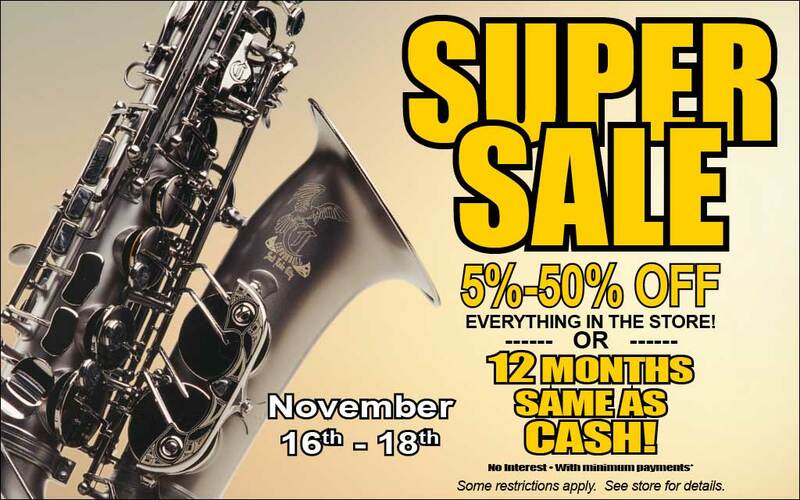 12 Months Same-as-Cash subject to credit approval and applies to all instrument and accessory purchases $399 or more. Not applicable toward existing account balances or repairs. Offers cannot be combined. See store for details.